Is the grass greener for homebuyers outside of Sydney? 26/03/19 – Figures have been amended to reflect more up-to-date data. So, you’ve decided to move out of Sydney. Whether it’s the lack of nightlife, the latest public transport chaos or the general high cost of living, many Sydneysiders have found themselves considering whether staying in the Harbour City is still worth it. None so much as those trying to get a foot on the property ladder. 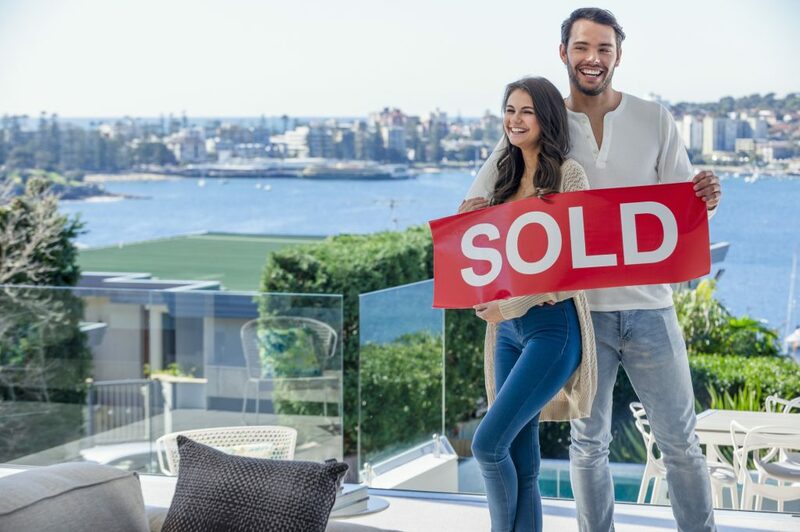 If you’re looking to buy your first or next home and considering moving away from Sydney to do so, there are two factors you should keep in mind – how much money and how much time you can save. Housing prices have been coming off the boil since their peak in 2017, but the total deposit needed for a median priced house or unit in Sydney is still confronting when you compare it to Brisbane and even Melbourne. Depending on the capital city of your choosing, when looking outside of Sydney for your first or next property, the savings can be anywhere from $16k – $75k. Notes: Total deposit includes 10 per cent deposit, plus lenders mortgage insurance and stamp duty for non-first home buyer. Savings have been calculated at 2 per cent, calculated daily, accrued monthly. Median prices based on CoreLogic Home Value Index, March 2019. When you factor in a 10 per cent deposit plus stamp duty and lenders mortgage insurance for a median priced house in Sydney, homebuyers will need to pull together a total of $146,012 for a median priced home. For most young Aussies, this would ordinarily mean skipping out on social events and Uber Eats for a very, very long time – or even moving back home with mum and dad. In comparison, homebuyers looking in Brisbane can expect to save a total deposit of $53,885 a difference of $71,686 to Sydney homebuyers. Those looking in Perth can expect to be $75,013 ahead of their Sydney counterparts, with a total deposit of only $70,999 needed for a median priced house. And it’s a similar result for units, with would-be-buyers in Melbourne needing a deposit of $87,018 for a median priced unit – a difference of $25,921 when compared to the whopping $112,939 needed in Sydney. What about stamp duty exemptions? First home buyers in Sydney betting on stamp duty exemptions to help with the cost of their first home should keep in mind that the median price for houses and units are still greater than the exemption threshold – $650,000. However, stamp duty concessions are in place for properties priced up to $800,000 and first home buyers would be wise to consider looking for a first home under these thresholds. It’s not just avoiding the daily commute that will save you time once you’re out of Sydney (especially if you live near the light rail construction), but the time you’ll save while saving for a deposit. RateCity crunched the numbers to find that across the majority of the country, saving a deposit in Sydney takes around double the time for both median priced houses and units. Notes: Total deposit includes 10 per cent deposit, plus lenders mortgage insurance and stamp duty for non-first home buyer. Savings have been calculated at 2 per cent, calculated daily, accrued monthly. Time rounded up to nearest month. Median prices based on CoreLogic Home Value Index, March 2019. Singles or couples saving $200 a week for a median priced home in Sydney will find themselves waiting up to 12 years and 4 months just to save a 10 per cent deposit ($88,812), plus stamp duty ($35,459) and lenders mortgage insurance ($21,741). The wait for a home deposit drops significantly if you’re able to boost your savings to $400 a week. However, when you compare waiting 3 years and 4 months in Perth to 6 years and 7 months in Sydney for a median priced house, it can be tempting to consider a sea change. For singles or couples squirrelling away $200 a week for a median priced unit, they’ll still find themselves waiting 9 years and 10 months to scrimp and save for a 10% deposit, plus stamp duty and lenders mortgage insurance. This is double the time taken to save in Adelaide, Perth or Brisbane. An intimidating task for even the most loyal Sydneysiders. Beware of the Afterpay hangover; lenders are starting to crack down on discretionary spending so homebuyers should look to cut out splurge items to boost their savings, as well as look good to the banks when they eventually apply for a home loan. Avoid pesky lenders mortgage insurance (LMI);if you can save a 20 per cent deposit, you’ll be able to cut down on one costly extra. Don’t shoot for the moon; if you’re a first home buyer, consider buying an entry level home instead of your dream house to get on the property ladder. A more affordable home will save you time and money and will also be a great starting point for your real estate journey. Stay under the stamp duty cap; if you can help it, try to stay under the stamp duty exemption cap in your chosen state. For Sydney this is $650,000 but this differs from state to state. Put your money to work; homebuyers may want to consider utilising high interest savings accounts while in savings mode, or even term deposits if you’re worried you’ll dip into your nest egg.